Alaid (Northern Kuriles): New thermal anomalies have been detected from the volcano during the past days via satellite data. It is not known whether or not a new eruption is underway at the volcano which is rarely visited, but one of the most active ones in the area. Its most recent eruption from Oct 2015 to January this year produced spectacular lava flows that flowed into the sea and enlarged the uninhabited island. The Aviation Color Code was raised again to yellow. 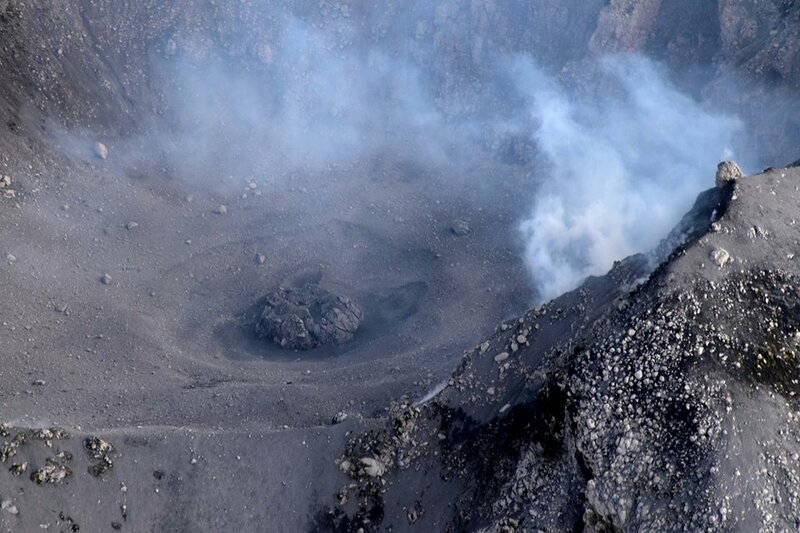 Colima (Western Mexico): As had been suspected last week, a new (still small) lava dome has appeared inside the volcano’s summit crater. During an overflight on 19 Feb, it was seen to be approx. 25 m in diameter and 10 m tall. Momotombo (Nicaragua): Activity has been a bit quieter over the past days, but the volcano continues to produce a few (on average two per day) mild to moderate explosions.